In case you missed it, the parent organization of NC Policy Watch, the North Carolina Justice Center, gained a new Executive Director in recent months. 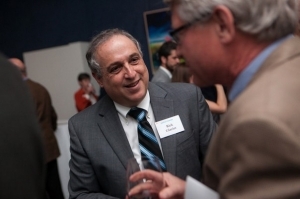 Rick Glazier, a veteran attorney from Fayetteville who served several terms as one of the General Assembly’s most accomplished and respected members, joined the organization in late summer. Recently, the folks at one of North Carolina’s most important funders of progressive causes, the Winston-Salem-based Z. Smith Reynolds Foundation, sat down with Rick to explore his vision for the Justice Center and, more importantly, the fight to end poverty and bring a semblance of economic justice to our state. The staff members at NC Policy Watch are proud to play an important part in this fight. If you’d like to join us in the effort, we’d welcome your contributions — financial and otherwise. Click here for information or contact me directly at rob@ncpolicywatch.com. I recommend that everyone take the time to read the entire interview.You’ll be proud that such an organization exists and you’ll want to support its work.